Although we are based in the Salt Lake City region, we rent to many customers who are looking to venture into Yellowstone on their vacations. As the first national park in the country, Yellowstone has been the go-to destination for vacationing families and wildlife aficionados alike. With lush forests, exquisite waterfalls, and great chasms and mountain ranges, Yellowstone National Park invites everyone to explore nature. If you’re planning a vacation or trip into Wyoming or Utah, make sure you take a day or more to explore the land with a rental vehicle at your disposal. 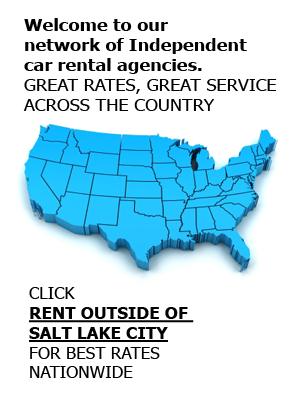 To learn more about us or for more information on any of our rentable options, including car, van, and SUV rentals, call Affordable Rent-A-Car And Sales at (801) 266-7368. Staying in the area is a no-brainer when you’re entertaining the notion of visiting Yellowstone. The area boasts a handful of remarkable and cozy campsites, lodges, and resorts, including Madison Campground. Near Old Faithful, this campground offers tent campers and those with RVs a place to lay their weary heads at night, as well as direct access to the magnificent sights and activities in the region. Depending on the season, visitors can take hikes, cycle, visit the hot springs, fish, and take nature safaris – all without having to venture more than a few miles away from the campground. Many different in-park shops and stores make up Yellowstone. Whether your family members back home would enjoy shirts, mugs, or fridge magnets, you’ll find a variety of knickknacks and other items to bring home with you. For those looking to dine out, you’ll notice that the area has some amazing restaurants and home-like eateries to visit. Enjoy the local cuisine and grab some souvenirs. At www.affordablerentacarandsales.com, we offer the least expensive and most convenient way to explore Yellowstone and the surrounding Wyoming and Utah areas, including Jackson Hole, Moab, SLC, and Park City, among others. Our rental vehicles include car rentals, van rentals, SUVs, and truck rentals. We also rent to those in the production and film industry, as well as offer airport car rental services. Submit an online reservation for a vehicle, or contact us at (801) 266-7368 to speak directly with a rental agent, and we’ll help you appreciate nature with a reliable vehicle.